An electrifying rockumentary celebration combining red-hot concert footage from a sizzling ‘70s rock & roll revival show, revealing behind-the-scenes interviews, and archival clips, newsreel & film footage from the 1950s, Let the Good Times Roll uses split screen wizardry to showcase some of the greatest musicians of all time. 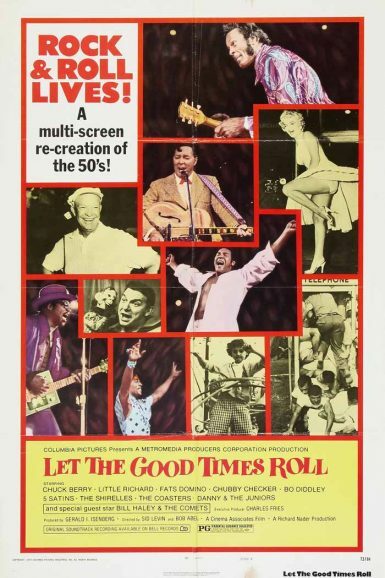 The film vibrantly pulses to a big bold beat with legendary performances by Chuck Berry, an incendiary Little Richard, Fats Domino, Chubby Checker, Bo Diddley, and more! Not Available on DVD! What’s that sound crashing through the airwaves? The 1950’s are coming to a close, and every singer from Milwaukee to Timbuktu is fixing to catch the ear of Alan Freed, New York City’s premier disc jockey! While conservatives protest his move from oldies to the songs of the youth, Freed pushes broadcast boundaries to introduce exciting new voices to the masses. 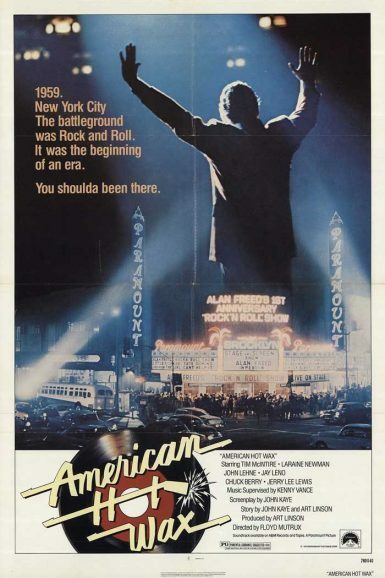 Featuring cameos by Jerry Lee Lewis, Screamin’ Jay Hawkins, Chuck Berry, and more, American Hot Wax is an homage to the pioneers who made rock and roll a musical movement! Not Available on DVD!